Asiad Steels is one of the renowned distributors, manufacturers and suppliers of Inconel 625 Bars. The outstanding strength and toughness of Alloy 625 Bars, at temperatures ranging from cryogenic to 2000˚F (1093˚C), are derived primarily from the solid solution strengthening of columbium. In order to restore the best balance of properties, all hot or cold worked parts should be annealed and rapidly cooled. Ideally, to control grain size, finish hot working operations should be performed at the lower end of the temperature range. During machining these Inconel 625 Rods work harden rapidly, generate high heat during cutting, weld to the cutting tool surface and offer high resistance to metal removal because of their high shear strengths. 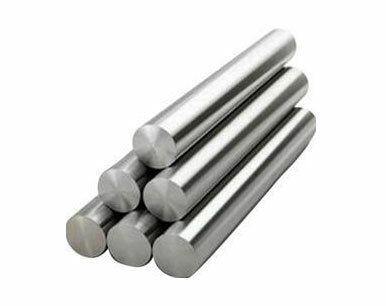 This Alloy 625 Round Bars can be welded by both manual and automatic welding methods, including gas tungsten arc, gas metal arc, electron beam and resistance welding. It exhibits good restraint welding characteristics. Our manufacturing program is supported by intensive in-house inspection and testing and accredited to meet all the most recognized international standards, including ISO 9001:2008. However, Inconel Alloy 625 Bars does work-harden rapidly so intermediate annealing treatments may be needed for complex component forming operations. In order to restore the best balance of properties, all hot or cold worked parts should be annealed and rapidly cooled. Matching filler metals are also used to join dissimilar metals in Inconel Alloy 625 Rods. Due to the hardness of the abrasives used, the grinding wheels are not as affected by the material work hardening and remain sharp and durable. 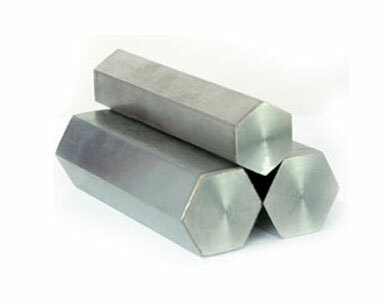 Buy Alloy 625 Round Bars at reasonable rates from us. We are Exporter of Inconel 625 Round Bars in Worldwide Such as India, Ecuador, Greece, Namibia, Algeria, Afghanistan, Hong Kong, Chile, Belarus, Australia, Bulgaria, Pakistan, Costa Rica, Gambia, Belgium, Slovakia, Italy, Mongolia, Denmark, United States, Nepal, Libya, Qatar, Kuwait, Canada, Estonia, Morocco, Saudi Arabia, Sri Lanka, Hungary, Colombia, Lithuania, Azerbaijan, Poland, Malaysia, Angola, Egypt, Romania, Thailand, United Arab Emirates, Japan, Puerto Rico, Ghana, Iran, Bangladesh, New Zealand, Gabon, Yemen, Iraq, South Africa, Norway, Trinidad & Tobago,Tunisia, Portugal, Mexico, Singapore, Croatia, Oman, Russia, Kazakhstan, Jordan, China, Mexico, Indonesia, India, Serbia, Ireland, Tibet, Iran, Turkey, Philippines, Switzerland, Finland, Kenya, Netherlands, Argentina, Poland, Bahrain, Brazil, Nigeria, Lebanon, Zimbabwe, Germany, France, Sweden, Macau, Venezuela, Bolivia, Peru, Austria, South Korea, Taiwan, Chile, United Kingdom, Vietnam, Ukraine, Nigeria, Czech Republic, Bhutan, Spain, Israel. 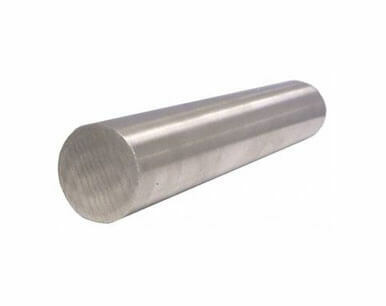 We are Suppliers of Inconel 625 Round Rods in India Such as Mumbai, Howrah, Tehran, New York, Bogota, Chennai, Dallas, London, Indore, Jeddah, Toronto, Navi Mumbai, Ulsan, Karachi, New Delhi, Madrid, Doha, Milan, Dammam, Vadodara, Colombo, Al Khobar, Port-of-Spain, Busan, Sydney, Caracas, Montreal, Kolkata, Noida, Rio de Janeiro, Ranchi, Chandigarh, Bangkok, Courbevoie, Istanbul, Secunderabad, Geoje-si, Chiyoda, Moscow, Kanpur, Granada, Atyrau, Houston, Ernakulam, Algiers, Nashik, Haryana, Bhopal, Surat, Singapore, Ho Chi Minh City, Al Jubail, Mexico City, Calgary, Ludhiana, Thane, Muscat, Seoul, Ahvaz, Sharjah, Gurgaon, Manama, Edmonton, Petaling Jaya, Baroda, Pune, Lagos, Kuwait City, Thiruvananthapuram, Aberdeen, Jaipur, Brisbane, Coimbatore, Kuala Lumpur, Bengaluru, Nagpur, Hong Kong, Pimpri-Chinchwad, Melbourne, Los Angeles, Jakarta, Lahore, Jamshedpur, Riyadh, Vung Tau, Hyderabad, La Victoria, Rajkot, Mumbai, Cairo, Gimhae-si, Santiago, Hanoi, Abu Dhabi, Ahmedabad, Faridabad, Visakhapatnam, Dubai, Perth, Ankara.